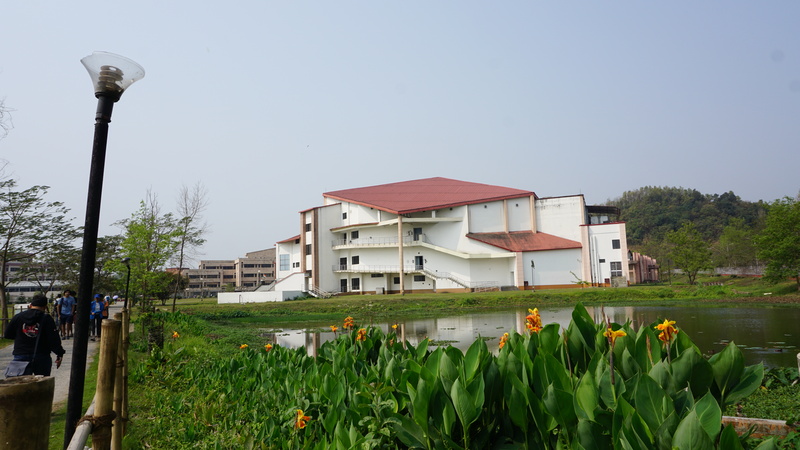 Last week, I attended foss.in 2012 in Bangalore. 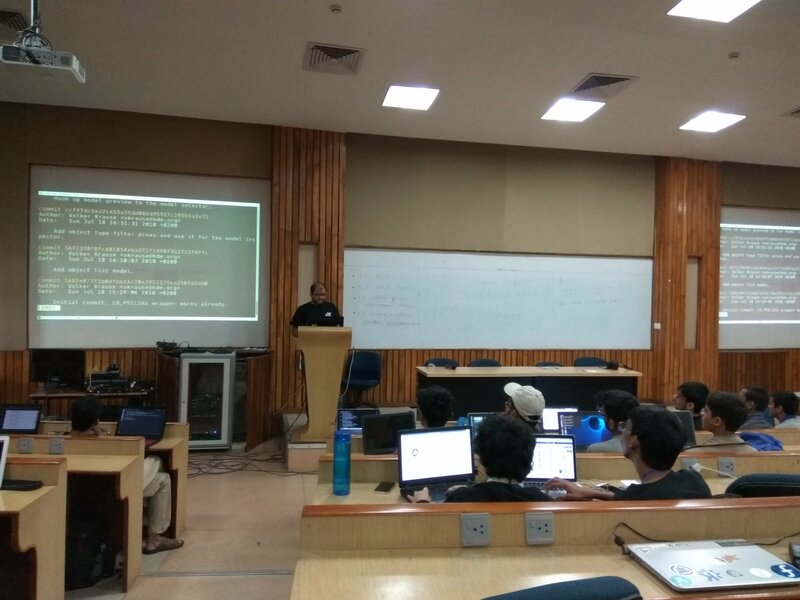 It was three days conference consisting of various interesting talks, tutorials and mini confs. The Schedule was divided into three conference rooms. There were good arrangements for everything including registration, food, hacking area, sponsors stall, booth, etc. 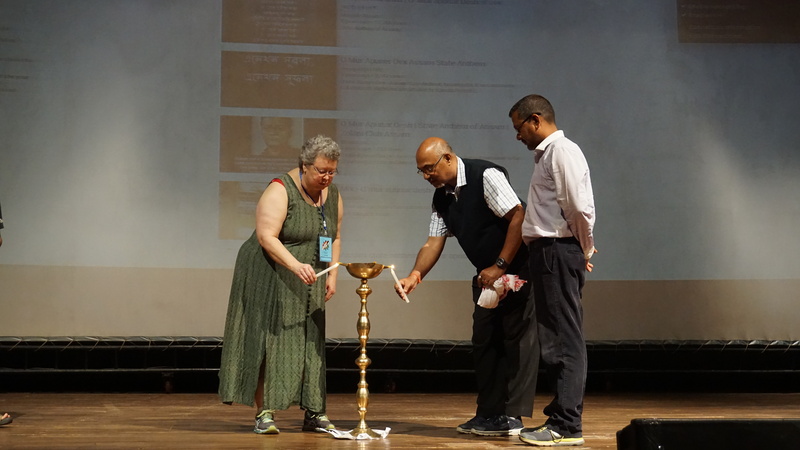 Started with registration followed by opening ceremony with Atul Chitnis sharing his ideas, followed by lighting of the lamp. First talk I attended on Big Data by Gopal V where he talked about how to handle big amount of data, filtering, removing duplication. He also discussed about various challenges arises in handling big data like reliability, optimization, sharing, security, etc. Further I attended talk on Wikidata where Lydia Pintscher explained the idea behind it. The Wikimedia aims Wikidata to become what Wikimedia commons is for images – a central repository for all the wikipedia content. Some of the advantages this will bring are easier localization, more machine readable content, sharing of content between wikis and so on. Wikidata will also provide a public API that developers can then consume to make it easy to access information. After lunch, I attended C++ tutorial by Ulrich Drepper where he showed some demo programs on addition done in C++11 like auto, array, iota , slice, for_each, Functional Programming, Lambda Functions, etc. He also explained C++ processor specific programs which can improve performance. Next day, I attended talk on Scalable Parallel Programming Techniques by Ulrich Drepper. It started with history of how changes has occurred from uniprocessor to multiprocessor. Then, concept of parallelism, lock, thread, thread pool, c++ 11 interface, etc. Various possibilities to achieve parallelism like reuse of threads, automatic detection of dependencies, optimized thread pool implementation and so on. Later, I attended talk on optimized thread pool implementation by Lennart Poettering. Systemd is core of distributions like Fedora, OpenSUSE, Mageia, Tizen. He discussed how systemd is better than init daemon. 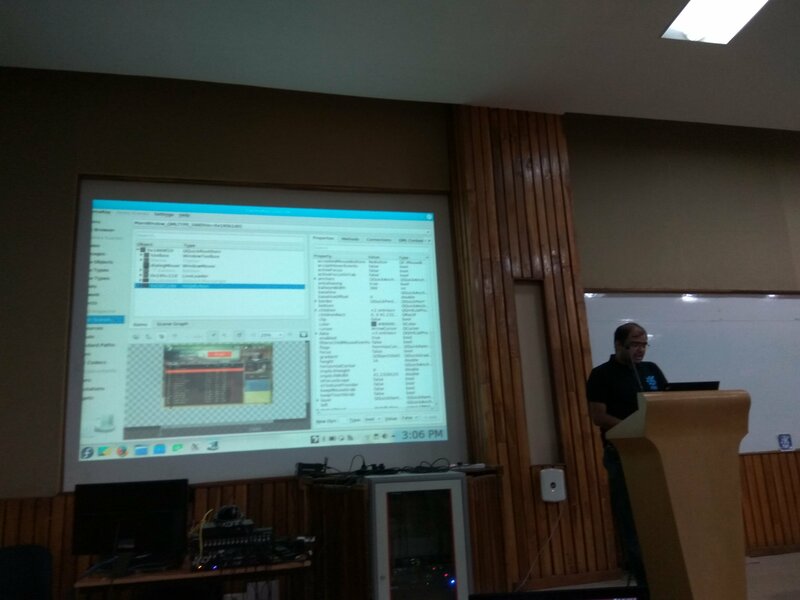 He also discussed about sysvinit, initd, git as daemon, consolekit, syslog, watchdog, autofs, udev, cryptsetup and many more. 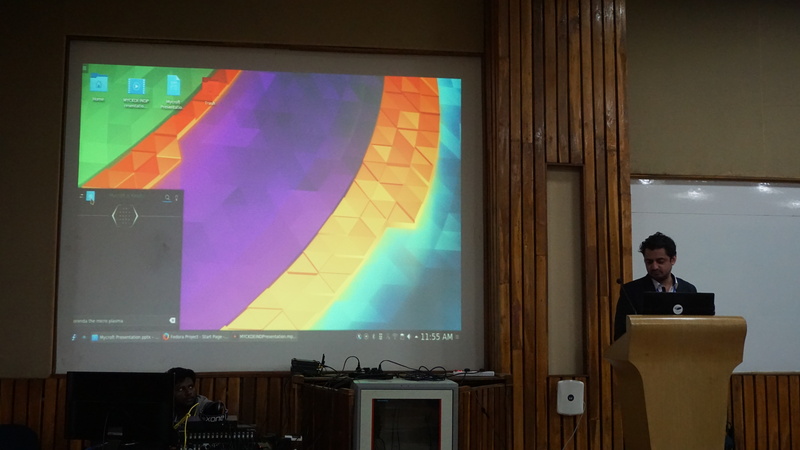 Post lunch, I attended talk on Calligra – productivity made easier by Shantanu Tushar where I learnt about some internals on how Calligra suite works and people can use it in their applications. This was followed by KDE mini conf where Sebastian Kügler organized a workshop for writing device adaptive applications using QtQuick. It was exciting to see that in addition to students, seasoned professionals were interested. Last day of conference, I attended talk on KGDB: Kernel Source Level Debugger by Swapnil Pimpale. kgdb is used with gdb to debug linux kernel. 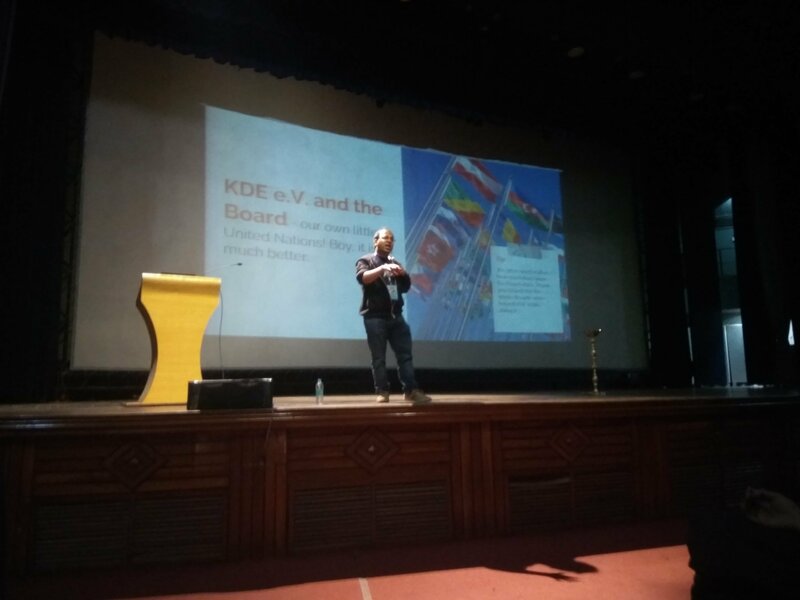 He told various advantages of using kgd like placing breakpoints in kernel code, stepping through the code, observing variables, inspecting memory and looking through call stack information. 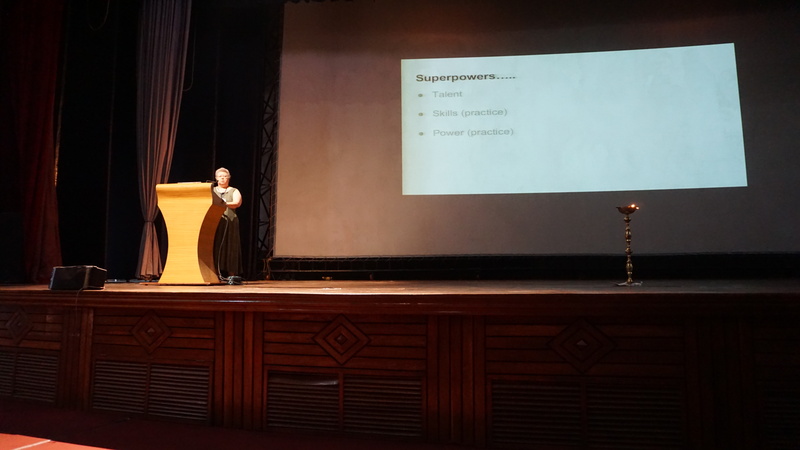 He also discussed how to setup kgdb, its usage, working and limitations. Some of talk’s videos are available at http://hasgeek.tv/fossdotin/ .